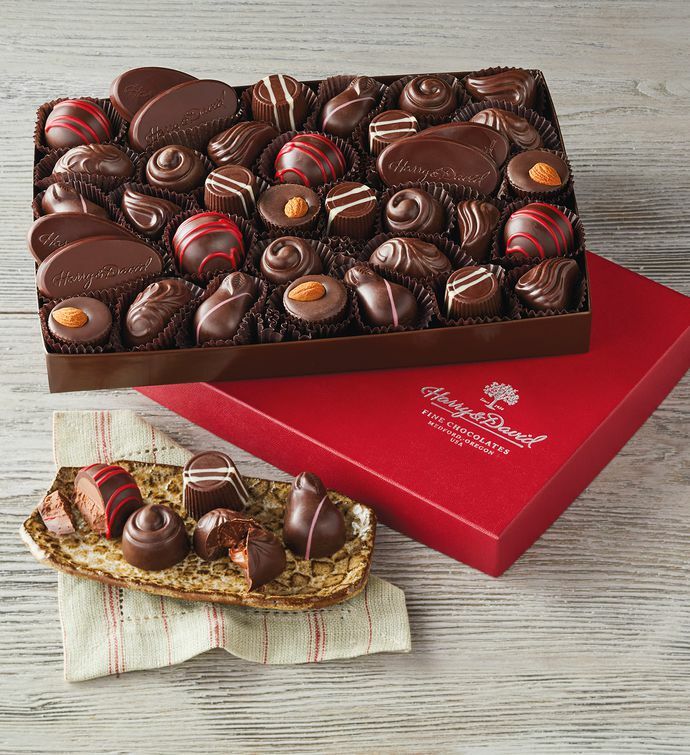 Delight someone special with a beautiful gift box filled with decadent gourmet chocolates. This gift includes three-dozen pieces, all crafted in our candy kitchen using our own dark chocolate recipe. With chocolate medallions and chocolates filled with delicious centers of salted liquid caramel, lemon cream, molten chocolate, and more, there is plenty to share.